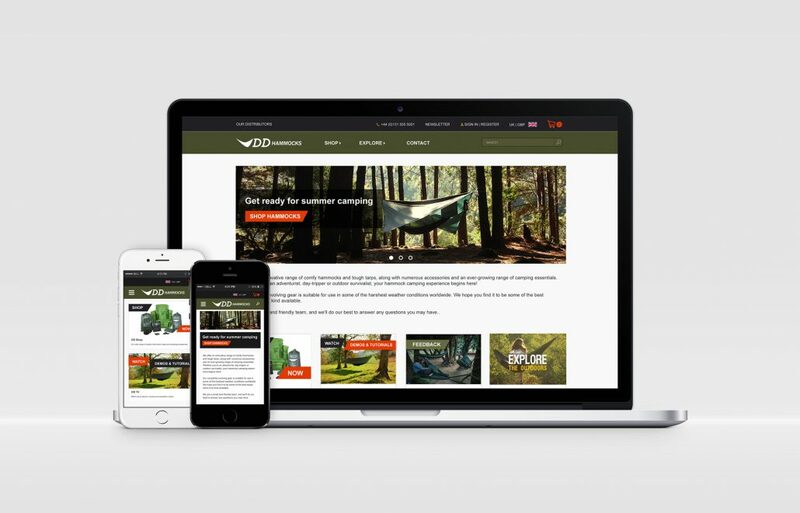 DD Hammocks is a growing Edinburgh based company who design and sell high quality hammocks and tarps worldwide. They have been at the forefront of hammock camping since 2005. I joined them in 2013 and led various projects from branding to web design. Convert views to sales. Improve the user experience to make purchasing on the site easier. Improve the navigation. Create a system that makes it easier to navigate through the growing range of products and other content. Build stronger customer relationships. Make it easier to find the necessary information and add additional engaging content to bring more users to the website. Convert views to sales. A Clear call to action was added to the home and product pages, a wishlist option was introduced and a simplified checkout process. Improve the navigation. All menus were updated and simplified to allow for a good overview of the available content. Build stronger customer relationships. Created additional content to keep users on the website (Blog, TV page with product demos). The website was made responsive to allow a better experience for mobile and tablet users. Lastly, the visual look of the website was refreshed to make it more in line with the brand. 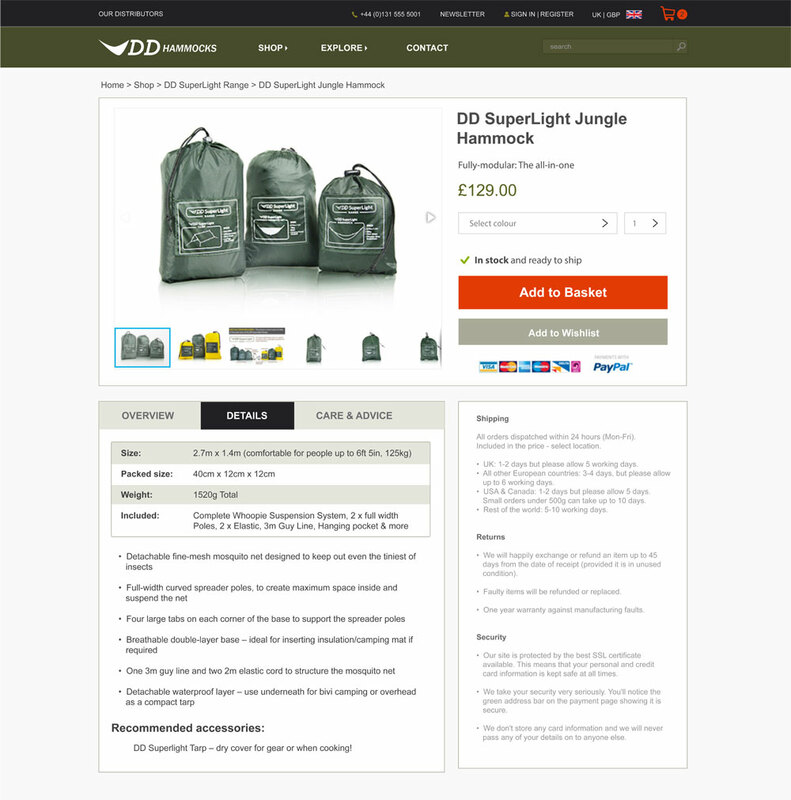 The product page is clutter free and shows a clear overview of the product, it’s features and specifications. The main call to action is clear and supported by the secondary call to action (add to wish list). The shipping information is included on the same page so the customer has all the information needed to make a decision without having to look for answers elsewhere. 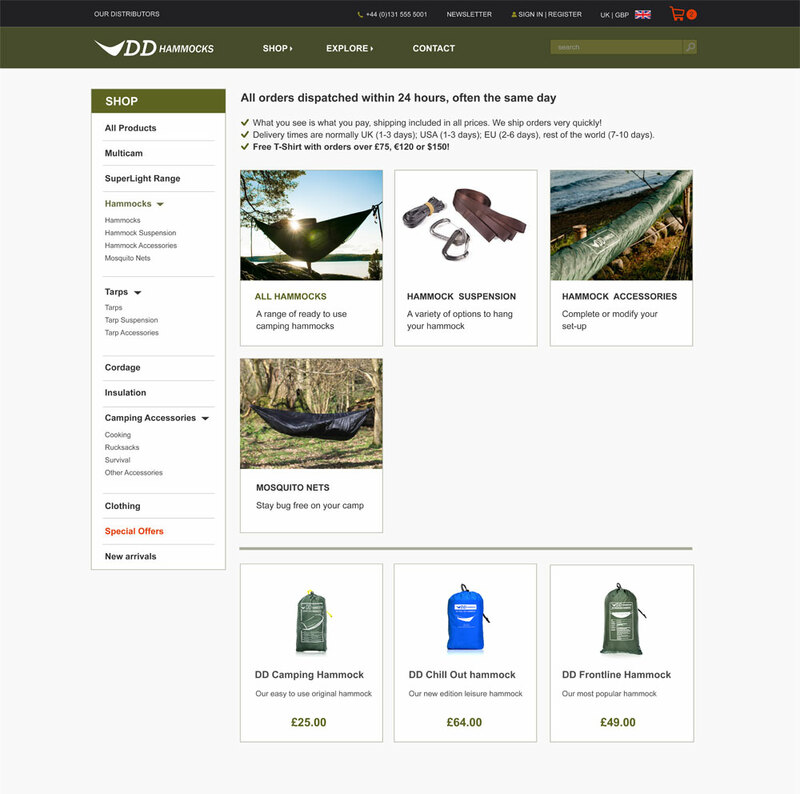 A new menu structure on the shop page allows the user to easily navigate around the growing range of products. The responsive website is easier to use on smart phones and tablets.